An employee races through the office doors at 9:15am when they were expected at 9. Then it turns into a casual stroll at 9:20am. Keep this up, and the behavior could warrant relieving them of needing to come to work at all. But before having you consider terminating employment, make sure processes are in place to document each instance and establish a record that protects the organization from subsequent legal woes. While, yes, almost every state has adopted an “at-will” employment arrangement, not having a consistent process for managing tardiness – or other behavioral issues – can set up organizations for frivolous and potentially valid legal claims. And you can bet that a chronically late employee will show up on time to any court appearance potentially worth big bucks. It’s understood that to have a successful business, employees must work during the agreed-upon time designated during the hiring process. Chronic lateness doesn’t just affect Johnny Come Lately but can negatively impact productivity of all employees. They not only can’t get their jobs done without Johnny doing his but they are also displeased to see a co-worker not following the rules. The lost revenue of a single late employee can cost approximately $15 thousand dollars per year. Still managers can’t be given carte blanche to fire whomever – even when the employee is proven to be consistently late or they risk wrongful termination or other claims against the organization. 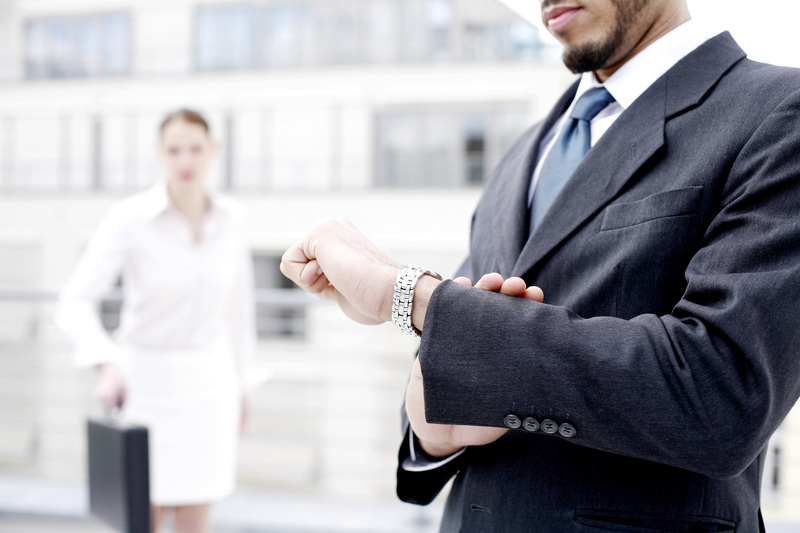 How Can HR Managers Curb Chronic Tardiness? A 2014 Forbes study found that “one in five arrive late for work at least once a week”, so putting an end to lateness might be out of the question. Management should, however, engage in dialogues and begin documenting all instances in which the employee shows up later than scheduled. Since protecting the organization against unsubstantiated legal claims is paramount to its future, consider the following when addressing a chronically tardy employee. An initial conversation about lateness, and the importance of being on time, can tame the problem before it must be addressed in writing or with a Performance Improvement Plan. Allowing the employee to evaluate and correct their own behavior establishes trust, motivation, and can more seamlessly restore productivity within the organization. Likewise, chronic diseases and ailments preventing an employee from regular attendance may be protected under the Americans with Disabilities Act. While not being able to set an alarm clock or unwillingness to take an earlier train do not have to be tolerated, there are sometimes unique situations which may affect an organization’s response and approach to tardiness. Let’s say, for instance, the organization’s internal policy states that a verbal warning will occur after two instances of lateness. After three, an employee may undergo counseling or face termination. If, after three instances, management fails to make a decision (or worse, ignores the situation) – that can mean trouble down the road. It is important that managers are following the policy consistently with all their employees and that there is also consistency across managers within the organization. Failure on management to follow company policy makes it easier for a former employee to claim wrongful termination or potentially lead to a claim of disparate impact. All instances must be easily-accessible for future usage. Documentation may be presented to the employee upon counseling, reviewed by leadership, or act as evidence if a termination decision has been made. Even after a termination has occurred, management may need to refer to these documents in cases if a termination is disputed. Establishing a procedure that identifies, addresses, and responds to chronic tardiness in a consistent manner will pay off by improving productivity and protecting your organization.